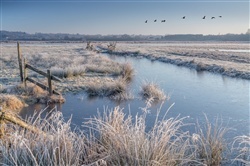 RSPB Pulborough Brooks is offering free entry to visitors between 25-26th November, to encourage people to discover and celebrate the winter wildlife on the reserve. The annual free event is always popular, as visitors get to explore the miles of nature trails before warming up with coffee and cake in the café. This year, new wildlife drawing and printing workshops will also be running over the weekend. “The RSPB are keen to help people see that winter wildlife includes far more than just robins and fungi. The Pulborough Brooks reserve receives special protection because of its winter wildlife, when the wetlands becomes a temporary home to huge flocks of lapwing, widgeon and other wading birds. All it takes is a passing peregrine for them all to take flight and fill the skies with colour. 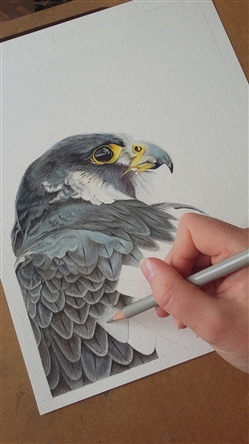 Stoats and mice can be spotted searching the hedgerows for food, while magnificent marsh harriers quarter the brooks.” Said wildlife artist, Emily Summers. To help you get closer to these breath-taking natural sights, the reserve are offering guided walks from 1.30 until 3 pm on both days (from £4pp). Led by a group of expert volunteers, hot chocolate will be provided to warm you up on route. Specialist staff will be advising guests how to choose the right binoculars and telescopes in the visitor centre. If you’re feeling creative, book on to one of the new ‘Inspired by Wildlife’ masterclasses and learn to carve your own wildlife-inspired stamp and print your own Christmas wrapping paper, or get to grips with drawing the wildlife out on the reserve. These classes range from £16-40pp and must be booked in advance.